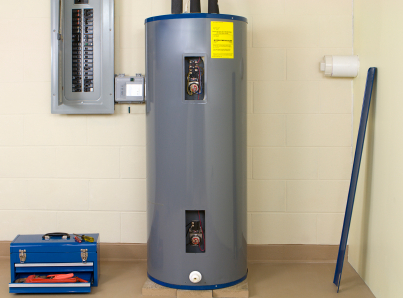 Save time and save money on water heater repair or water heater installation. Water heater repair or Water Heater Installation can become one of those things you put off for as long as possible before taking action. Water heaters go for such an extended period of time without any problems and they are generally taken for granted. However, the sooner you call Smiley Plumbing, the more time and money we can save you when it comes to your water heater service needs. This is because we have up front, honest pricing and expert knowledge. Smiley Plumbing offers fast service on all major brands and types of water heaters including gas water heaters, electric water heaters, propane water heaters, and tankless water heaters. For our commercial customers, we install and service all types of water heaters and our professionals will be happy to help find the right water heater to suit the needs of your business. We are your local water heater installation and water heater repair specialists. Our quality technicians are factory trained to repair and install tankless water heaters. We have the knowledge and skill to perform all types of water heater repair and installation. We can install all water heaters ranging from high efficiency tankless water heaters, under sink, point-of-use models to large commercial models like those needed for apartment buildings. We even do mobile home water heater hook-ups. We can get your water heater installed safely and efficiently and make sure that it meets all codes. All of these reasons and many more are what really makes Smiley Plumbing the best plumbing company for all of your water heater needs. Water heater installation from Smiley Plumbing is the best value in town. Being a locally owned Plumbing Company and community focused gives us the edge over appliance stores or chain plumbing companies who promises water heater installation or water heater repair when you purchase water heaters from them. Do you really want to be surprised at who the store hires to show up at your house to do your home water heater installation or repair your water heater? Instead of calling a chain appliance store, call the best local plumber, Smiley Plumbing, and let our quality technicians take care of your water heater problems today!